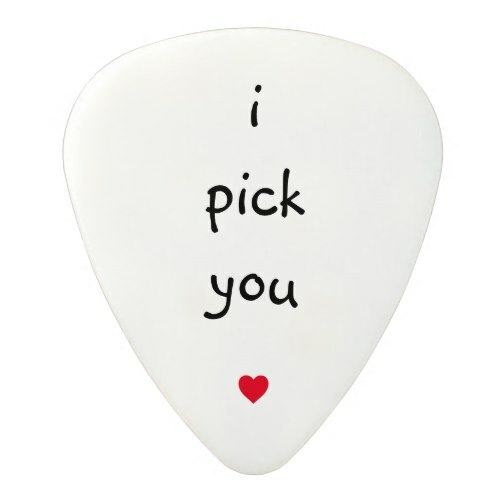 A lovely, funny, cute, custom, medium gauge, Clayton guitar pick, to propose, say "i love you", to your valentine, boyfriend, new love, groom, love of your life. You may choose from four different materials for your guitar pick - white delrin, pearl celluloid, acetal, and polycarbonate. Makes a fun gift for wedding, engagement, valentine's day, birthday, christmas, holidays, and more.